Our distribution to the customer's home, makes us break one of the barriers with which thousands of people with reduced mobility are, thus contributing to the improvement of their quality of life continuing with our positive and constructive contribution to this sector, the after-sales service is guaranteed in all the autonomous communities and provinces of the country, as well as our advice and technical support from our facilities. It is our commitment, to comply with all current standards and regulations of the vehicle industry, so we have a highly qualified technical team of engineers, which we put at your disposal to develop, process and approve any reform project of adapted vehicles. 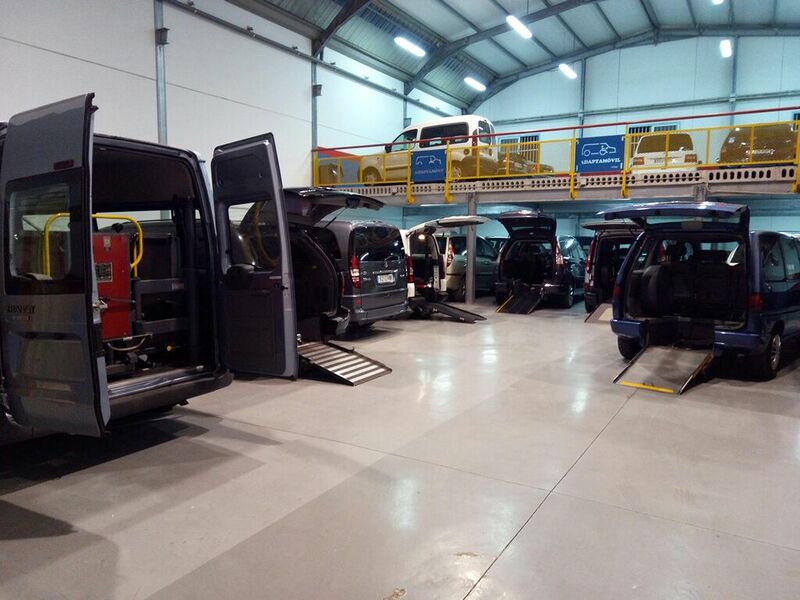 PARTICULAR CONDITIONS: ADAPTA MOVIL puts at the disposal of the clients its own workshops together with our most qualified professionals, in order to offer the maximum service and technical support. All our vehicles are examined by professional experts at the time of the acquisition, with an exhaustive set-up before being delivered. Benefiting from a mechanical guarantee, both in parts and in labor for 12 months, covering the entire national territory. ADAPTA MOVIL S.L. may accept repairs of faults or substitutions of parts of the vehicles that are sold, outside of the workshops authorized by this company, provided that the causes of the alleged damage are reported to ADAPTA MOVIL and the budget is sent by fax indicating the type of damage, the kilometers marked on the scoreboard and the data of the workshop, always sending ADAPTA MOVIL a written order authorizing the repair. Any repair or intervention that has not been the object of a previous agreement between the repair shop and ADAPTA MOVIL will not be in charge of the guarantee. The warranty may be canceled before the established deadline when pieces have been assembled or modifications or repairs have been made to the vehicles without the knowledge and prior authorization of ADAPTA MOVIL. The cancellation of the guarantee due to the reasons outlined, will take effect from the date of the event that causes it.